Restored Roadshow Edition! This heartwarming and soul-stirring portrait of life on the homefront during World War II is a magnificent picture that is rich in humor and poignant with heartbreak. 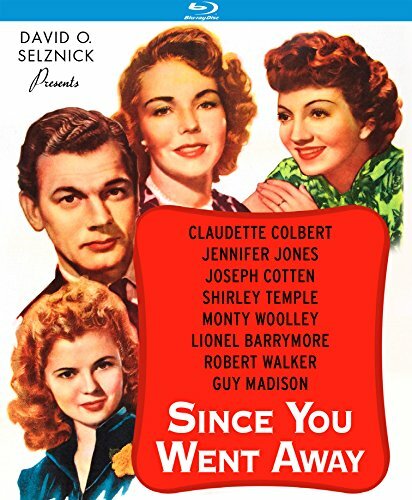 Claudette Colbert (Midnight) heads an all-star cast, including Jennifer Jones (Portrait of Jennie), Joseph Cotten (The Farmer's Daughter), Shirley Temple (I ll Be Seeing You), Monty Woolley (The Bishop s Wife), Lionel Barrymore (Duel in the Sun), Robert Walker (Strangers on a Train), Agnes Moorehead (Citizen Kane) and Hattie McDaniel (Gone with the Wind), in this beautifully produced David O. Selznick (The Paradine Case) picture that tugs at your heart. With her husband Tim off to war, Anne Hilton (Colbert) struggles to be a pillar of strength for her daughters Jane (Jones) and Bridget (Temple). During America's darkest hours, she bravely steers her girls through heartbreak and hardships as she eagerly awaits news from overseas and wonders if life will ever be the same. Wonderfully directed by John Cromwell (Made for Each Other) and beautifully shot by Stanley Cortez (The Night of the Hunter) and Lee Garmes (Shanghai Express). This masterpiece was nominated for nine Academy Awards, including Best Picture, Actress (Colbert), Supporting Actress (Jones), Supporting Actor (Woolley), Best Cinematography (Cortez and Garmes) and winner of Best Score by Max Steiner (Casablanca).